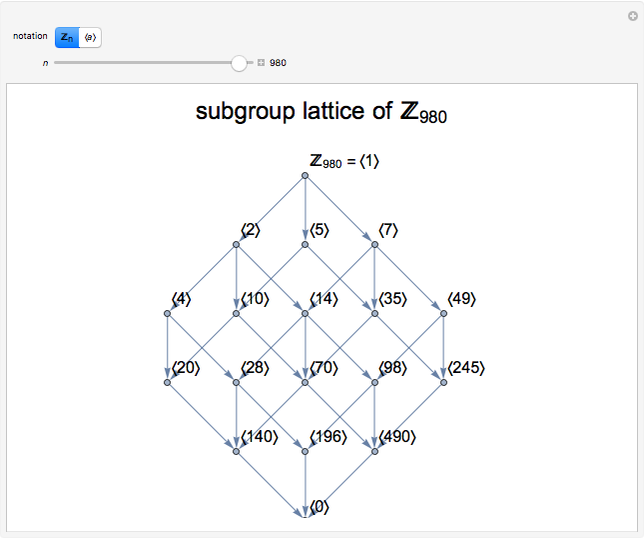 Explore the subgroup lattices of finite cyclic groups of order up to 1000. 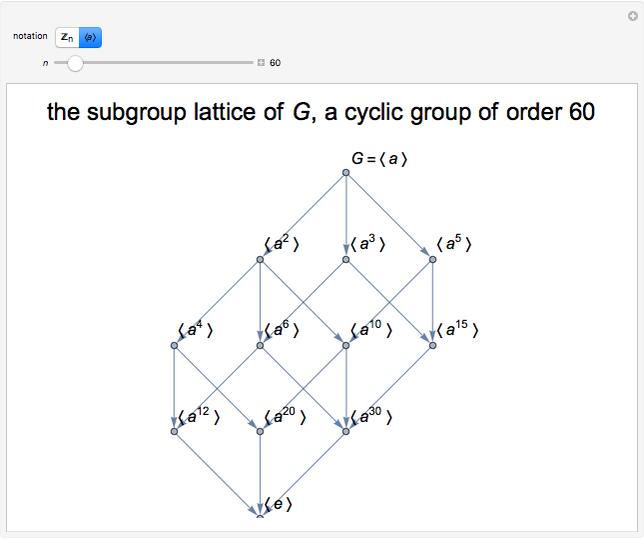 The cyclic group of order can be represented as (the integers mod under addition) or as generated by an abstract element . 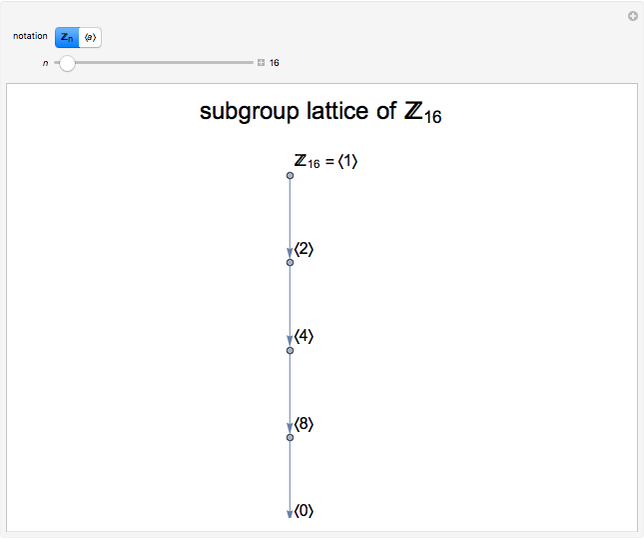 Mouse over a vertex of the lattice to see the order and index of the subgroup represented by that vertex; placing the cursor over an edge displays the index of the smaller subgroup in the larger subgroup. 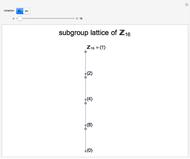 Mouse over a vertex label to see all the elements in the group that generate that subgroup. 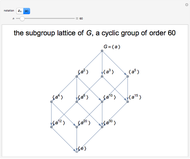 If is a cyclic group of order , then every subgroup of is likewise cyclic. The order of each subgroup of is a divisor of , and has exactly one subgroup of order for each positive divisor of . 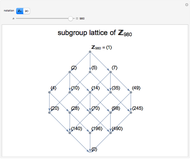 Marc Brodie "Subgroup Lattices of Finite Cyclic Groups"